We are pleased to announce a Postdoctoral Fellowship (PDF) opportunity to work on Pacific Salmon evolution and genomics at the Nitinat River Hatchery and the Bamfield Marine Sciences Centre (BMSC) on Vancouver Island, B.C. Project: Sustaining Canada's natural resources and food supply for future generations is a rapidly growing challenge that requires an understanding of how populations will respond and adapt to current and future environmental stressors. 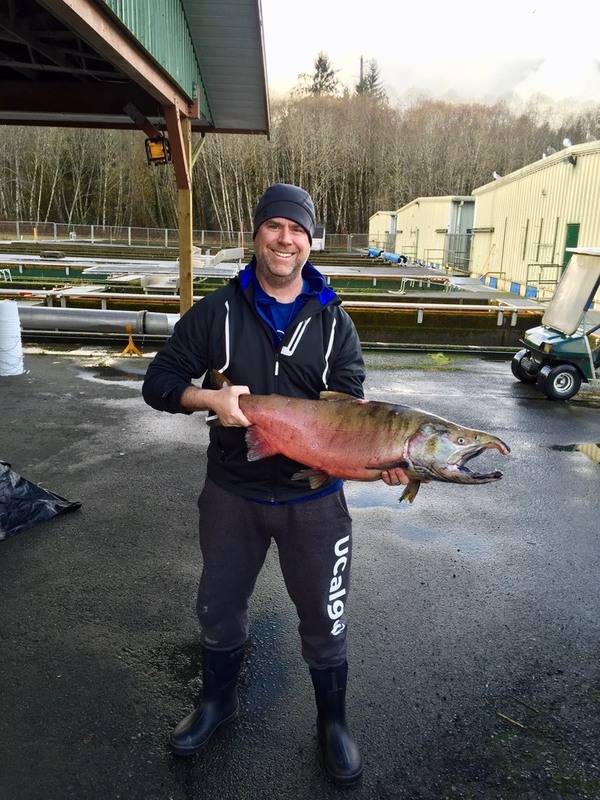 Salmon produce food and recreation for the people of the Pacific Northwest and are the keystone species of coastal ecosystems and human economies within this area. Yet, salmon populations are under pressure and we do not understand the epigenetic and genetic factors that influence their odds of survival. 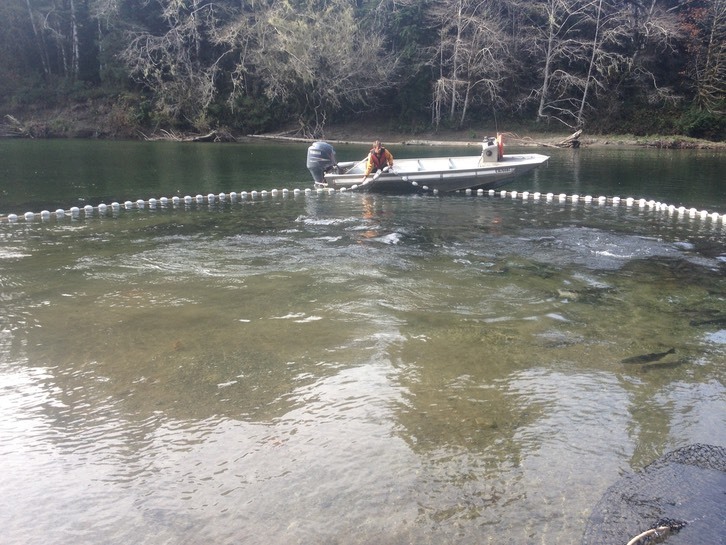 In particular, while hatchery programs release millions of fish yearly, it remains unclear how many of these released salmon survive and whether they contribute to increasing the wild population size. The PDF will join a unique and growing partnership between the Nitinat River Hatchery, the BMSC, Department of Fisheries and Oceans (DFO) and the Ditidaht and Huu-ay-aht First Nations to test the environmental and genomic consequences of alternative hatchery salmon rearing practices. The PDF will work closely with Dr. Kristi-Miller-Saunders (DFO) and Dr. Brad Anholt (University of Victoria). Our ability to raise thousands of Coho salmon families used in enhancement programs under different rearing conditions is a unique and powerful opportunity to understand how hatchery rearing practices may impact salmon survival and the genetics of domestication. An application package consisting of a Curriculum Vitae and the names of three references should be emailed as a single PDF to srogers@ucalgary.ca. The BMSC is a world-class teaching and research facility located in traditional territories of the Huu-ay-aht First Nations, on the outer west coast of Vancouver Island, Canada. 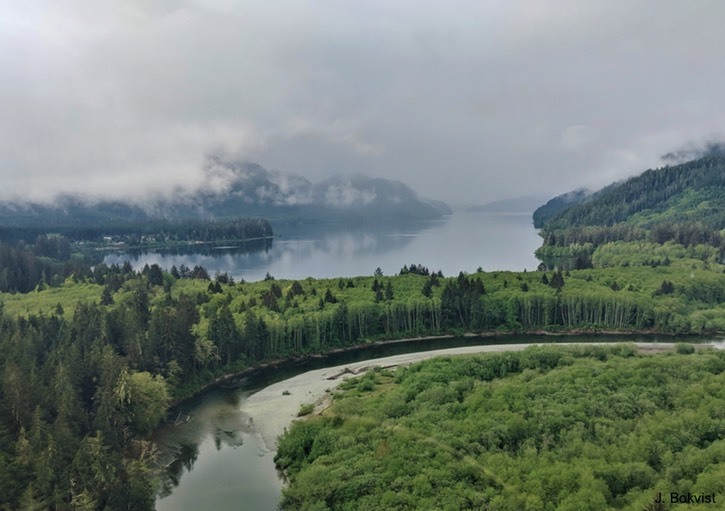 Our campus is situated on 65 hectares in Barkley Sound with access to a remarkable diversity of marine, terrestrial, freshwater and cultural sites of the North East Pacific basin. 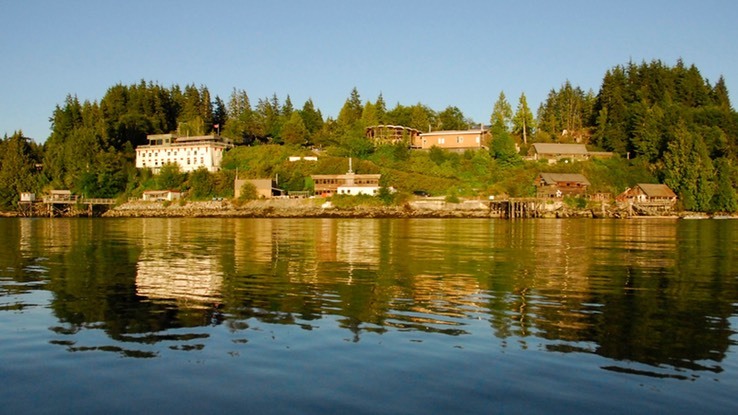 Located in the heart of Canada’s Pacific Rim National Park, the town of Bamfield has a small but exceptionally vibrant community that shares a history of trust and collaboration with the Huu-ay-aht First Nations. The town is also the northern terminus of an iconic Canadian Trail, the West Coast Trail. The stunning surroundings of the rain forest, deserted beaches, uninhabited islands, rugged coastline, and world class diving inspire creativity and discovery. Nitinat River, Vancouver Island, B.C.